Have you ever needed to feed hungry teenagers? A field full of farmers? Wanted to make a meal that you could double, triple, quadruple to freeze the leftovers? These crock pot sloppy joes for a crowd are just what you need when you need a recipe to feed a bunch of hungry people! I had to feed a bunch of teenagers one Sunday after church. I seriously didn’t know how was going to get it all done. With a little brainstorming, I came to a great concept. This is now my go-to way to make ground beef and sloppy joes. This can also be a one pot wonder! I actually put frozen ground beef in the crock pot overnight. When I woke up it was nicely browned. Once I broke it up and drained the fat off, I put the beef back in the crock pot. 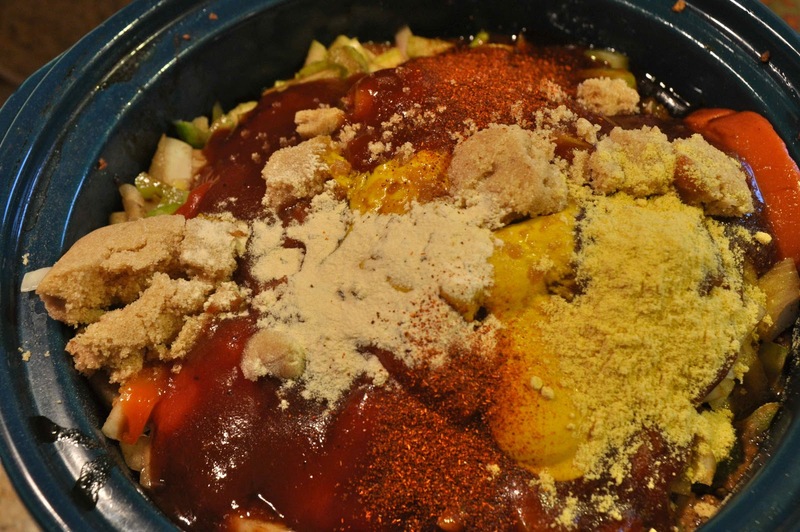 I added onion, celery, tomato sauce, tomato soup, mustard, ketchup, BBQ sauce, brown sugar, dried mustard, chili powder, garlic powder, salt, and pepper. Then I put the crock pot back on low and let it cook for four hours. It was ready for a great lunch after church with several families from church. And now I have three meals in the freezer waiting for me too! We love to make coney dogs with our leftover sloppy joes meet too. Need a smaller sized recipe for sloppy Joes? Well, do I have the easiest crock pot sloppy Joes recipe for you. 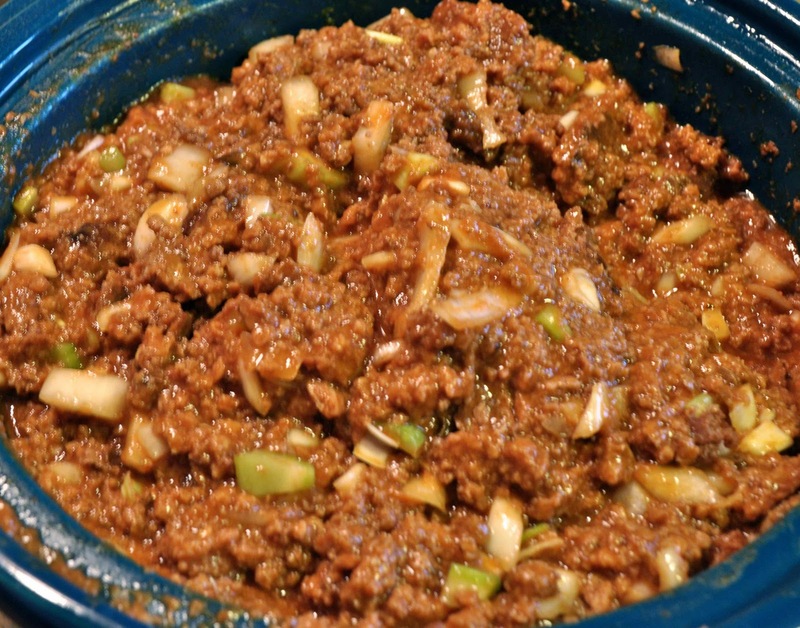 Check out my all in one pot crock pot Sloppy Joes recipe. Feeding a crowd of people and need an easy, delicious recipe? 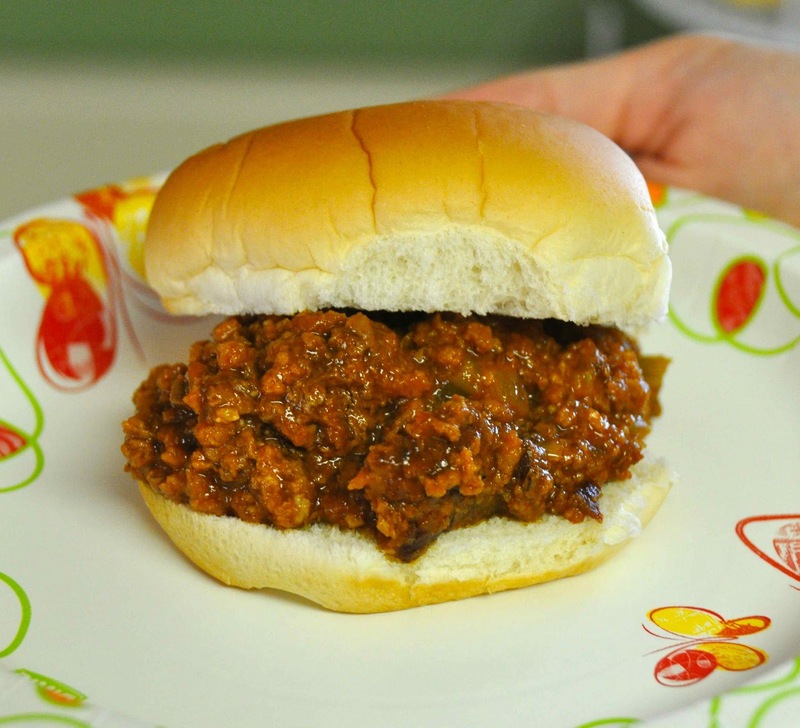 This Crock Pot Sloppy Joes recipe is always a favorite meal. For a juicier, looser sloppy joe sandwich, use four pounds of meat. For a less juicy sandwich, use six pounds of meat. Put all the ingredients into the crock pot, stir to combine fully. I don't have a picture, but I made your root beer roast beef yesterday. Some I will bar-b-que, and some I will leave plain. Steve loved it! 🙂 I was tickled that something was ready to eat when we came in from the field. I am starting to <3 my crock pot! The sloppy joes look really good!! Your Sloppy Joes look Delicious! Thanks for hosting and hope you have a great week. I think this is going in the crock pot now for supper tonight post football games! Thank you. I linked up with bacon wrapped duck! This looks good sounds good but I'm leery doing this in my crockpot. I tried putting sloppy joes in my crockpot on hold warm setting for about 6 hrs. and it was burned to a crisp no saving whatsoever. I have one hot crockpot. Yummy Yummy! I love using my crock pot. Sloppy Joes are a staple here during harvest time. This recipe looks easy to assemble and can cook while we are out in the fields. I linked up with pork sausage recipes. Sloppy joes look yummy! I love to make these because they are the perfect meal to "hide a veggie" in. I made them on Sunday and added carrots, onion, zucchini, celery, and cabbage in the food processor and used the same amount of this mixture as I did meat.. and you would never know! That both looks and sounds amazing! have a very jyst right uncanny feeling I came upon exactly what I needed. I most no dout will make sure to do not omit this wesbsite annd give it a look on a relentless basis. the highest quality webseites on the net. I moxt certainly will recommend this site! of information in such an idceal manner of writing? I have a presentation subsequent week, and I’m att tthe look for such info. and I find It truly useful & it helƿed me out much. I always keep an eye out for coupons and stock up. I also have a great groomer who gives discounts for loyal cuometsrs, so I save there also. (Which is great, because there is no way I could do it myself!) Also, I have found some great recipes for dog treats that use products I would normally buy. And my pup loves them! Sorry it took so long to check out your site!!! I’m glad to see you following a passion that I can endorse you have an affinity for (a certain spanakopita comes to mind). Happy studies & cool site! Can you believe I only made crackers ONCE? What’s wrong with me? I love your sundried tomato version – once I get my life on a smooth track, I’ll making them!gorgeous photos…. Hi, I came across your site as I was looking or pilates exercises. I REALLY love your GIFs – what a brilliant application!! They are VERY handy to take to the gym on the iPhone or iPad. Could you do the same for your Bikini 2 routine? Please consider doing it for Bikini 2 and your other routines from now on! Thanks.